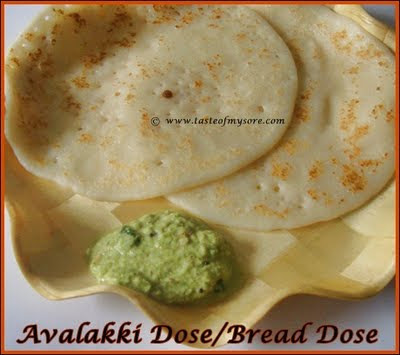 Avalakki Dose or Bread Dose makes a yummy breakfast. Taste is different from usual dose and is a good alternative too for regular dose. 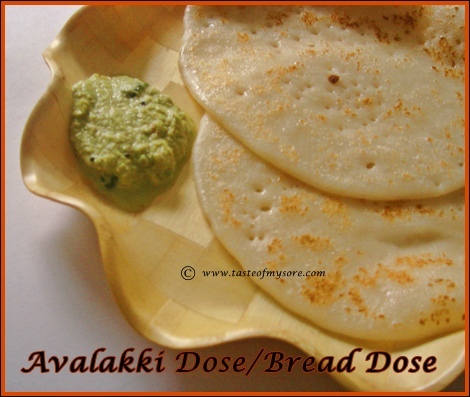 I stumbled upon this recipe at Chitra Amma's Kitchen and from then Bread Dose has been added to our breakfast list. We can make it in two different ways. Method1.Wash Rice and Pressed Rice and soak in Curds for 4-5 hrs and grind it to make smooth batter. Mix salt and make start making dosa.This method suits if you are using sour curds to soak rice and poha. Method 2 : Wash Rice and Pressed Rice and Soak in Curds for 2-3 hrs and grind to make smooth batter. Mix salt and let it stand overnight before you make dose. This method suits if you are using sweet or fresh curds. Do not forget to cook dose with lid closed. Enjoy hot dose with your favorite chutney. We had ours with coconut chutney. 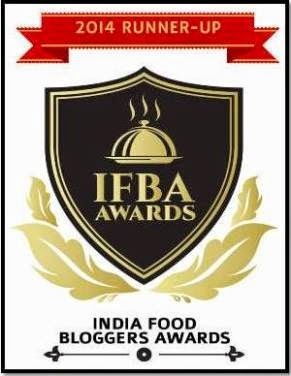 Do not forget to vote for Taste of Mysore. Poll ends on 10 Dec 2009 and TOM needs all your support. For voting please visit the following link : http://multivote.sparklit.com/web_poll.spark/21900 (copy paste the link in your browser). Also, do not forget to confirm your vote. Keep checking your email in box for confirmation e-mail from Indibloggies. Soft dosa looks prefect for breakfast..yumm! This dosa is new to me .Will give a try . lovely and yum dosa for breakfast. this is something new..will try it sometime...looks yumm..
A real new dosa for me.Sounds gr8 and looks yummy.. I would hav enever ever thought of this dosa. looks really yumm. So soft and rich... love it with ghee/butter and chutney...iga tinno hagilla, three months admele ella tinbeku..
New to me :) will try it ..tnx Lakshmi! Good breakfast idea, try madbekuri..
Is the dosa turned soft, i can feel it! Good one! I like avalakki dose they are very spongy and soft, right. Pictures look fantastic. oh yum, that looks amazing! Dosa looks soft and spongy. Makes a great breakfast.